Data center requirements are evolving. With bandwidth needs now driven by trends such as wearable technology, heavy-content applications, big data, artificial intelligence (AI) and others, organizations are viewing, building and planning their data centers differently. As a result, data center providers need to keep pace with the times and anticipate customers’ needs. With nearly three decades of industry experience, AIMS is well-placed to fulfill modern data center demands thanks to its status as ASEAN’s leading carrier-neutral data center and managed services provider. AIMS provides internationally-certified data storage facilities and ancillary services, augmented by an unrivaled platform for inter-connectivity. 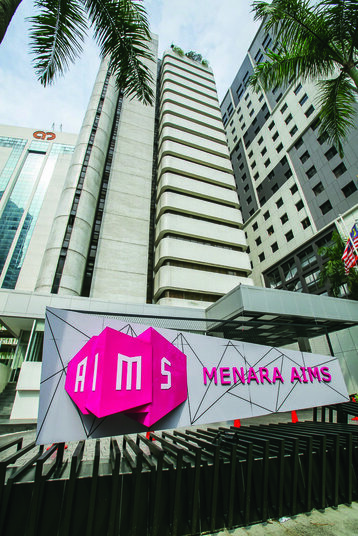 Strategically headquartered in Malaysia since 1990, AIMS has emerged as the most densely populated communications facility in the ASEAN region. Besides the Malaysian cities of Kuala Lumpur, Penang and Cyberjaya, it also counts data centre presence in four other key regional locations with satellite centers in Singapore, Hong Kong, Thailand and Vietnam. Leveraging on parent company TIME dotCom Berhad’s strategic investment in an extensive international network, AIMS is able to link worldwide Points-of-Presence (PoPs) in a competitive package. This value-add enables AIMS to serve as a single platform for everything from data storage to international connectivity, evolving into more than just a commodity data centre service provider. Customers can bypass the hassle of managing multiple vendors from data storage and interconnectivity to international networks, consolidating their IT architecture management into one centralized organization. As the anchor site for the Malaysian Internet Exchange (MyIX), AIMS hosts all domestic and over 80% of the foreign telecommunication carriers based in Malaysia, with close to 100 peering partners in AIMS. Its carrier-neutral status allows it to extend services from all local telecommunication providers to its customers, granting customers the freedom and flexibility to choose the services they want. This unrivaled connectivity builds a vast and dynamic ecosystem of networks, carriers and IT service providers, to which AIMS customers enjoy instant and direct access. AIMS’ client base is extremely diverse, hailing from industries that range from financial services and telecommunications to social media and e-commerce and many more. AIMS thinks that content-intensive applications, online services and cashless transactions will be the game changers for how businesses operate in Malaysia in 2018 as they signal an increase in data and analytical potential for businesses to discover. The growing conversation around the importance of data and how it will be managed positions data centers as an increasingly crucial success factor for business in the age of information. Businesses will demand more comprehensive and innovative data center services to meet their needs. It is a challenge that AIMS is determined to rise to in keeping with their motto: Designed to Adapt, Built to Last.